Imagine being able to predict the amount of change in anyone's pocket, at anytime. Or imagine being able to predict a number that anyone is thinking, at anytime! 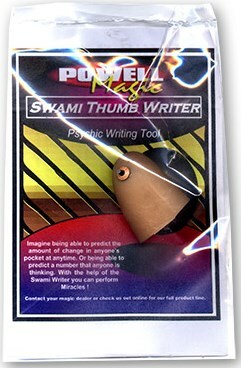 That's exactly what happens with the help of the Swami Writer!